I realize today’s items aren’t exactly in the same category. Just stick with me here. I can think of only a few things to buy at the corner pharmacy that would be more demoralizing than hemorrhoid pads. And yet, this design has added some dignity to the process, without sacrificing any of the necessary communication. 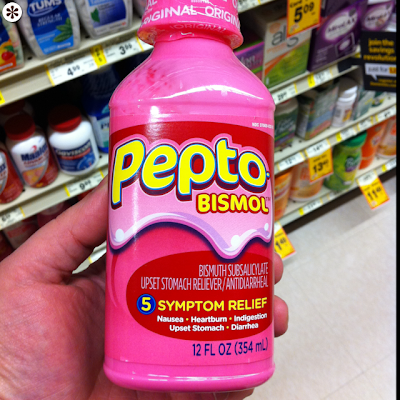 Buying Pepto-Bismol isn’t particularly demoralizing. 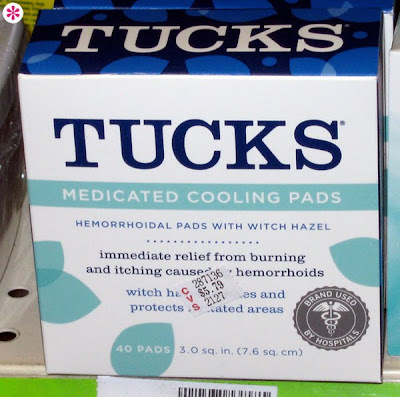 Or at least it wasn’t, until they updated the design of their packaging to this. The great irony is that they could have a completely label-less design, and people would still recognize the product by the color. Instead, they’ve given us an overwrought design that’s more Nickelodeon slime than soothing relief. Thanks to my good friend Jordan Schulman for the Pepto submission (and the slime reference!). Go here to learn more about sending your own submissions. And make it easier by getting the P*S* iPhone App here.